Many teachers take a supervisory, instructive role when it comes to physical activities. I, however, am not one of those teachers. Why only let the children have all the fun? During a recent trip into the forest, I rediscovered the beauty of youth and innocence that my students possess. My students and I caught bugs, learned about nature, and long distance jumped for fun. I found out that I can jump a whopping 1.5 meters from a standing start and 2.7 meters from a running start. I know I am roughly five meters short of world record holders, but I am proud nevertheless. Unfortunately I was too busy frolicking in the forest with my students to take any pictures. 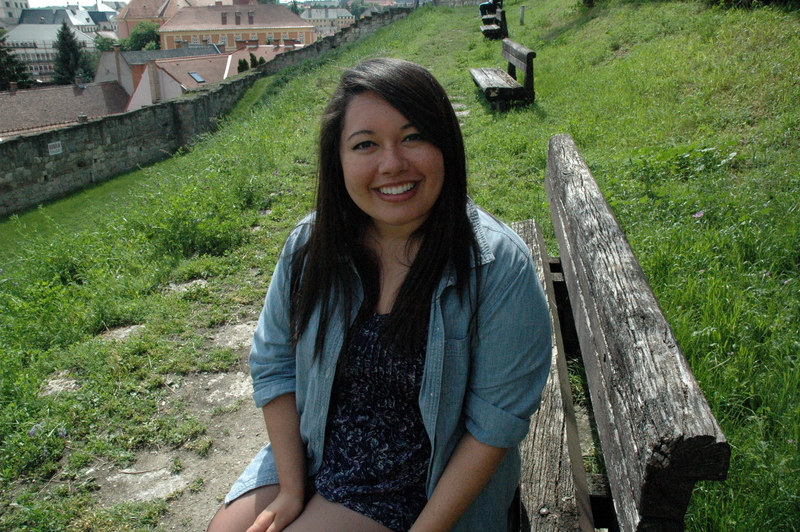 On Saturday my friend Grace and I traveled to Eger. 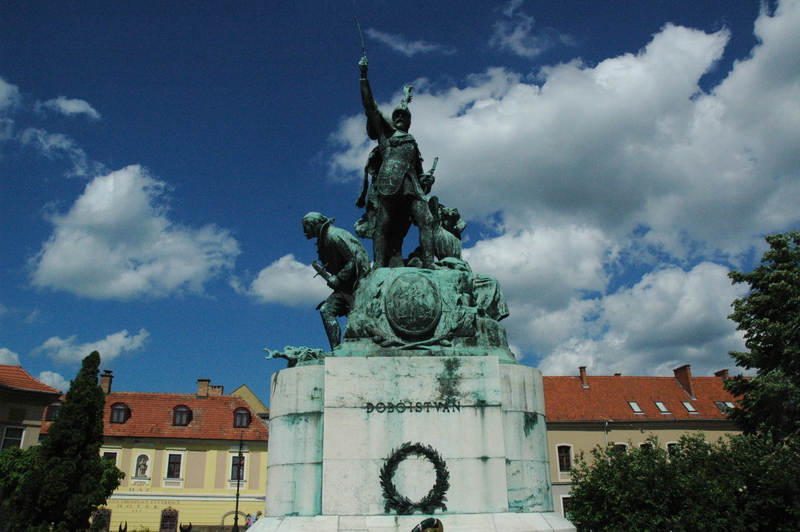 Eger is the second largest city in Northern Hungary and the nineteenth largest in the country. 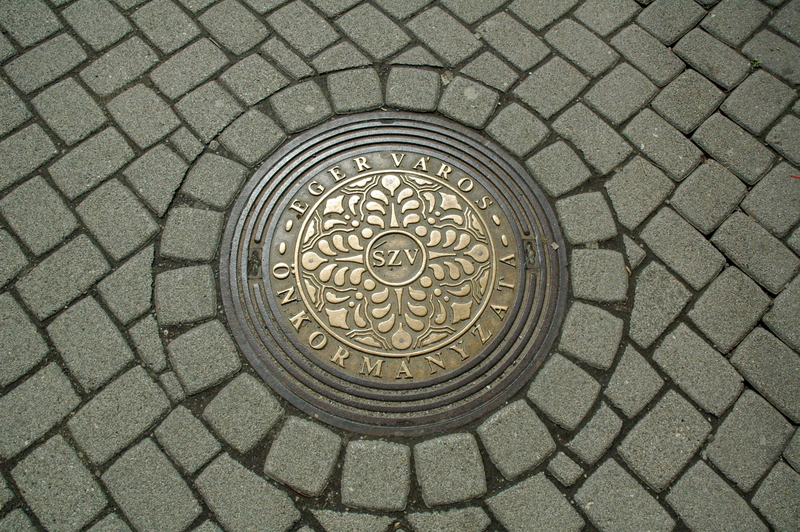 Prominent sites in Eger are its castle, basilica, minaret, and István Dobó Square. The minaret, built in the 17th century, was the northernmost Turkish minaret in Europe at the time. One of the main reasons why people flock to Eger is for its wine. Szépasszonyvölgy, or “The Valley of the Beautiful Women,” is a valley full numerous wine cellars. Grace and I didn’t make it to the valley though. Instead of drinking wine like the grown-ups we are, we ended up at some strange puppet show for children. This life! 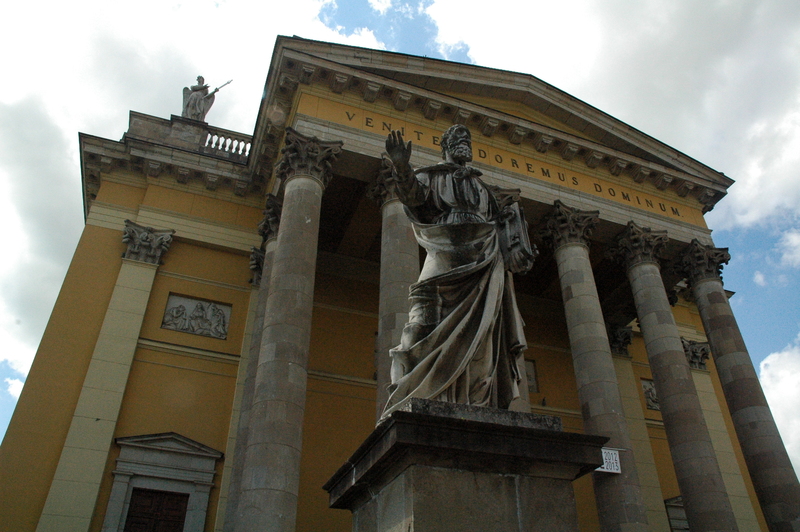 I thoroughly enjoyed my time in Eger – the sites were beautiful! 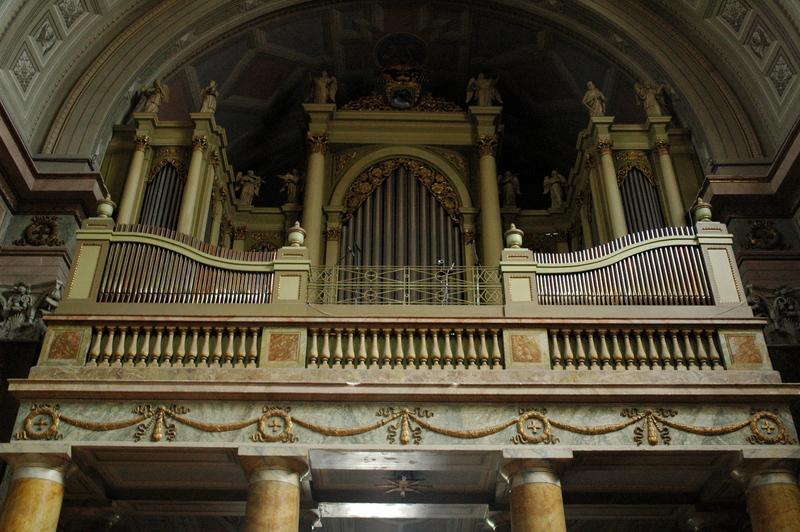 The Basilica of Eger – the second largest in Hungary. 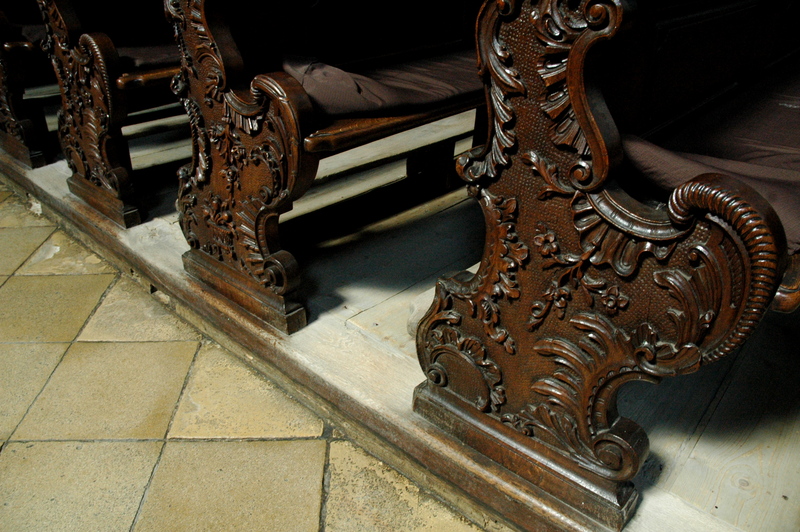 Church pews in the Minorite Church. One of the most surreal moments happened while trekking through the castle. 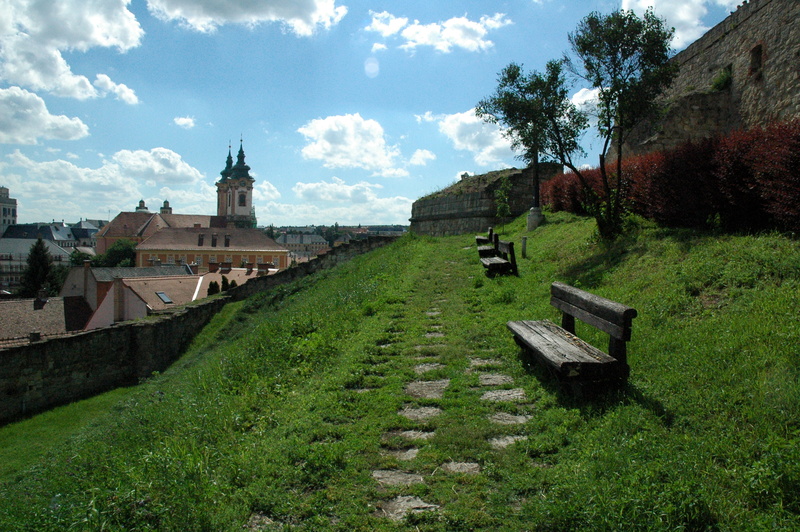 Before coming to Hungary, I saw a picture of benches overlooking Eger. I said to myself, I want to go there and contemplate life. I forgot about this wish until I stumbled upon the benches! This story may be ridiculous at best, but I was ecstatic. As stated in my last post, I am going to Paris and Prague in a month. Because I already visited Prague in December, I am going to visit Český Krumlov and Kutná Hora as well. My excitement is beyond measure. Český Krumlov is a charming, beautiful Bohemian town in the southern region of the Czech Republic. In addition, Old Český Krumlov is a UNESCO World Heritage Site. Kutná Hora is famous for the Sedlec Ossuary – this small church contains the skeletons of 40,000 to 70,000 people. What is fascinating about this fact is that the bones are used for decoration: chandeliers, plaques, etc. As an Anthropology major, I have read my fair share of books detailing what different cultures do with their dead. I have also held a real human skull in my hands: it was strange, yet natural – taboo, yet normal. I look forward to the experience. I have just less than a month left of my first school year in Hungary. Summer is approaching quickly and I have no plans for the duration of the break. Party on, I suppose. A lesson from Miss Jennifer: If you know that something makes you sick (spinning rides), avoid them!